Autumnal nether region nudism may seem an unusual connection for a beer; however, concerns about dignity are likely to evaporate under the boozy warmth given off by Bootleg’s Pants Down IIPA. Once freed from the constraints of clothing – or at least the bottle – a fruit bowl of bright citrus and light peach aromas come at you, anchored by a piney character that packs a punch atop the beer's sweet malt base that’s noticeable lighter than last year's debut for the beer. The Bootleg team’s encouragement for drinkers to “Rock out with your hop out” is clearly driven by the generous use of Citra, Calypso and Simcoe hops rather than any uncontrollable tendencies towards naturism, but there could be a darker ploy in place: that is to fill the social media feeds of the hop hungry with photos of the hairy ankles of drinkers who take the instructions a little too literally... If so, touché Bootleg! 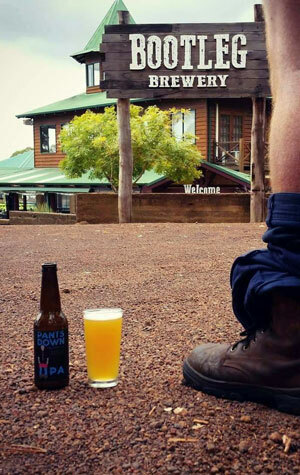 Bottles of this 2017 release of Pants Down IIPA are available in good West Australian retailers and on tap at select venues.